Well how cool is this!?! 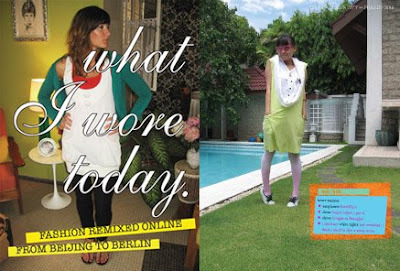 I'm in a book called: What I Wore Today: Fashion Remixed Online from Beijing to Berlin by Graffito Books. I've always wanted to be included in something like this or in those annual Top10 stylish people in the magazines. Yeah, I know I'm so shallow. that's so cool! congrats sis.